Although eggs, in general, were a traditional symbol of fertility and rebirth, in Christianity, for the celebration of Eastertide, Easter eggs symbolize the empty tomb of Jesus, from which Jesus resurrected, according to Wikipedia. In addition, one ancient tradition was the staining of Easter eggs with the colour red in memory of the blood of Christ, shed as at that time of his crucifixion. This custom of the Easter egg can be traced to early Christians of Mesopotamia, and from there it spread into Russia and Siberia through the Orthodox Churches, and later into Europe through the Catholic and Protestant Churches. MOOSE LODGE — FORT DODGE: The men and women of the Fort Dodge Moose Lodge are preparing for their annual Easter Egg Hunt. The hunt is scheduled for Saturday, at Dodger Stadium, Fort Dodge. Registration will begin at 10:45 a.m. until noon. The cost will be 50 cents per child and they must be present to register. There will be four age groups: 18 months to 3 years old, pre-kindergarten to kindergarten, first and second grades, third and fourth grades. Prizes will be awarded at the conclusion of the event. Rain date will be April 7. Same times, same place. For more information or to make a contribution, contact the Moose Lodge, 573-7371 after 4 p.m. No pets and no smoking please. 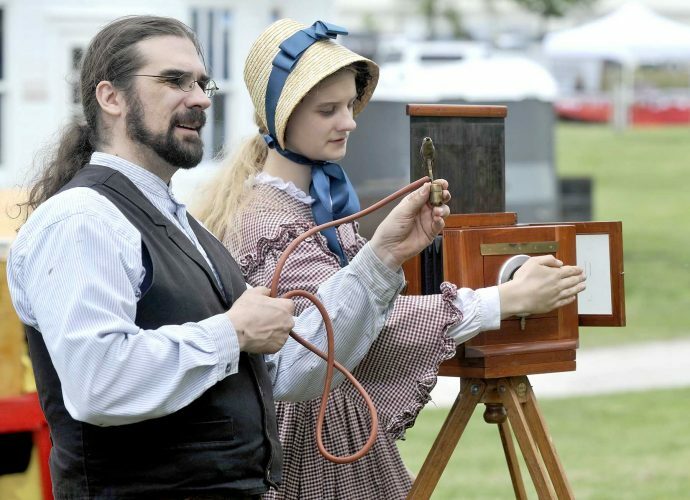 CALLENDER: Saturday, at 1 p.m., in the city park. CLARION: Saturday, at the Clarion High School indoors. Easter Bunny will arrive at 8:30 a.m. and be available for photos. The first race begins at 9:30. DAYTON: Saturday, at Codwell Park, 10 a.m.
GILMORE CITY: Saturday, 10 a.m. at Gilmore City-Bradgate Elementary School playground. Small petting zoo from 9 to 10 a.m., prizes and goody bags. GOWRIE: Saturday, 10 a.m. at Laurel Park. LAKE CITY: On Saturday, Opportunity Living will host it’s annual Easter Egg-Stravaganza in Lake City. Activities include an omelet/egg breakfast, photos with the Easter bunny, children’s Easter egg hunt, and the fun Easter basket silent auction! Breakfast will be from 8:30 – 10:30 a.m., Easter Bunny photos begin at 8:30, Easter egg hunt is at 9:30 a.m. and the Easter basket silent auction will begin at 8:30 a.m. and the bidding will end between 10:00-10:30 a.m. Community supporters, donors, and volunteers are invited to join us for a Saturday morning of fun at Opportunity Acres in Lake City. For more information, call (712) 464-8961. LAKE VIEW: The Black Hawk Men’s Club will hold an Easter egg hunt at 9:30 a.m. Saturday at Speaker Park. There is no cost. LIVERMORE: The Livermore Public Library is hosting an Easter program on Saturday from 9:30 a.m. to 10 a.m. Starting at 10 a.m. an Easter Egg Hunt will be held in the city park. LOHRVILLE: Easter Egg Hunt begins in Lohrville’s city park at 1 p.m. on Saturday. MOORLAND: The Moorland Fire Department Easter egg hunt will be preceded by fire truck rides at noon Saturday at the fire station. The hunt will begin at 1 p.m.
OTHO: Easter Egg Hunt begins at 1 p.m. on Saturday in Heatherington Park. ROCKWELL CITY: The Sunny Knoll Care Center is having its Easter Egg Hunt on Friday at 4 p.m., rain or shine. Bring your own basket. SAC CITY: Friday at 2 p.m. at Parkview Rehabilitation Center. Rain date is Saturday at 2 p.m. Saturday at 1 p.m. at East Sac County Elementary building in Sac City. STANHOPE: Easter Egg Hunt begins at 10 a.m. on Saturday in the city park. STRATFORD: Easter Egg Hunt begins at noon on Saturday in the city park. TITONKA: 9 a.m., Saturday at Buffalo Breek Activiy Center (former Titonka School). WHITTEMORE: Children’s Easter Egg Hunt begins at 10 a.m. Saturday at Noah’s Park. Immediately following, there is a prize giveaway at the American Legion.